I like to shop, a lot. In fact, I may even say that I have a shopping problem. My other problems also include: zero space in my closet for anything else, forgetting about pieces I have purchased, too many pair of shoes for only two feet, too many handbags that occupy too much space and, let's not even talk about my make-up stash. One may say that I should stop shopping (just like mother does). Will I ever though? Probably not. With amazing winter trends, it really does become very hard not to wishlist various items. I will try my very best to keep spending on clothes, shoes (I recently won £200 to spend at Clarks, so that doesn't count right? ), bags and pretty much anything else to a minimum and instead, enjoy the wonderful discounts Boxing Day will bring. My weakness however: a good bargain! I'm really digging dresses for winter at the moment. I have found some gorgeous (and affordable) ones, and I now want one of each...temptation is a b*tch, I tell ya. ...it all comes together really so you get the idea. *Images source here. Collage created by me. You sound totally reasonable. It would be a crime NOT to get any dresses if you shop for boots anyway! Beautiful dresses, Pam. #2 is my favorite. I'm sensing a theme here. You should get one just to satisfy the urge! They looks really gorgeous dresses.Love them. These dresses are so pretty, I especially like the second one! I love these printed dresses <3 It's a great idea to save in dresses & splurge on knee high boots!! These are some beautiful selections, I know the feeling of shopping too much and having my mom over my back saying, "you do not need that, don't buy it" but i still get it anyway, because you can never have too much right, but you can definitely spend too much, and that's the not so fun part. As long as you make the money to shop till you drop, then you should be able to maintain. It will be a big issue if you have to cut back on your current living standard to support your spending habits. LOL! I 100% support your reasonings, boots are nothing without the right dress! ;-) Seriously though, all the dresses are gorgeous, love the bohemian vibe. It would be rude not to Pam! Especially when you won't have to spend real money on shoes for a while! I like the pattern on no4 and pattern on no5! Ahhh love everything so much!! <3 love your style! I love dress number 3!! I really can't get over how cheap they are. Such bargains. I think we have similar problems. I'm loving dress number 2! LOOOL! First of all, winning £200 to shop is not a crime so go ahead! Neither is just £15 dresses. Sounds like a bargain to me *wink wink*. I'm addicted to shopping too. I love everything on this list. Great selection! These dresses are beautiful! Cool boho dresses! 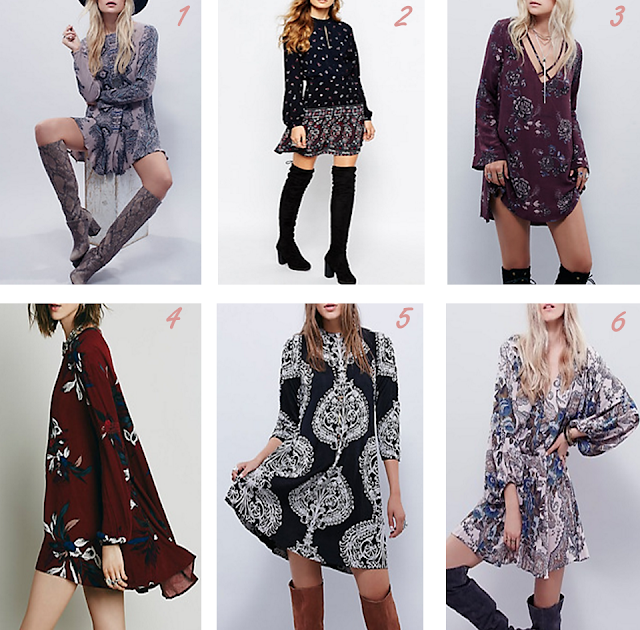 I want to try boho for this season I think this are perfect pieces! Thank for your comment on Qing's Style. Please always keep in touch! Glad to see your blog again now that I'm back. And wow, you have a good taste when it comes to picking the good yet affordable ones, huh..
Go get em, I'm sure each of them will suit you well. I really liked dresses 1 and 3! They're all so pretty though, with that boho-chic vibe associated with them. gorgeous post and wishlist girl!! wld love if u check out my new post is up sweetie! These are so fun! I love the colors and prints on these. That burgundy one is super gorgeous and I love how flowy they all are. What beautiful prints! I love number 2 and what a bargain!! Vestidos maravilhosos amei, bom final de semana. Amazing post! If you want to start new business regarding winter dresses. Marino Sussich can help you because which is working in clothing industry from last many years.